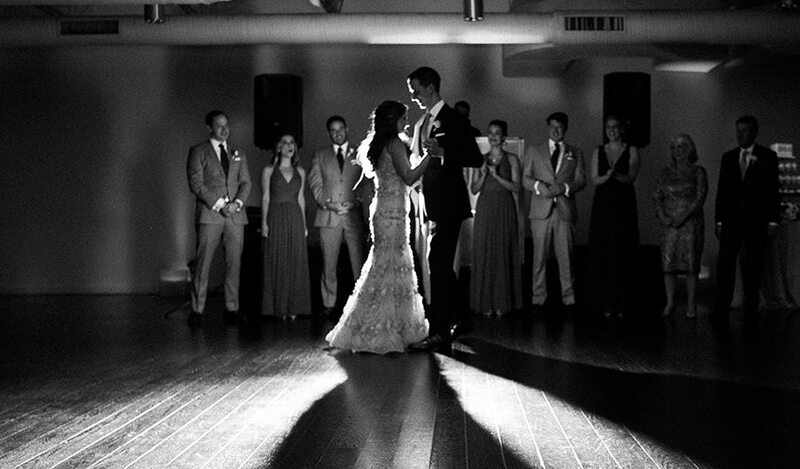 How To Pick The Best Wedding Song For Your First Dance? This first tip is obvious! *duh* ….but what does it really mean? Whether it’s a song you listened to on your first date or a song from a concert you went to see together, the song can either tell a story about your relationship, or not. As long as it means something to you that’s all that matters. 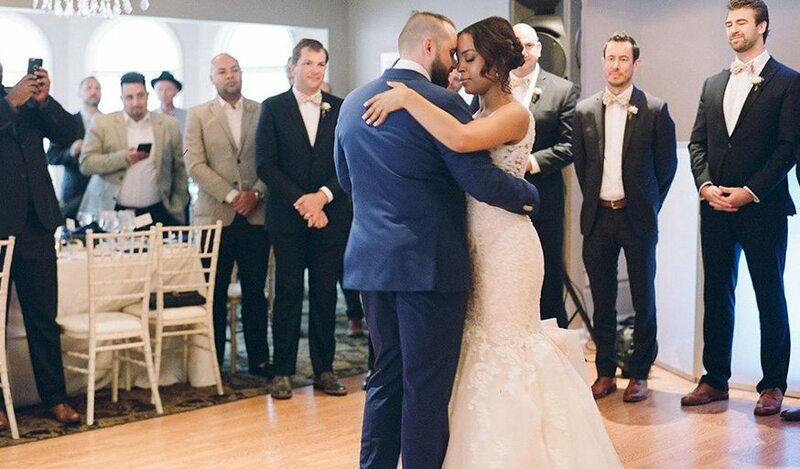 You might feel pressured to go down a certain route when it comes to the music at your wedding, especially for your first dance. But don’t let other people’s (read mother in law’s) opinions influence your decision too much! Pick a song that makes you and your partner happy! Picking a song with meaning is important, but make sure you and your significant other both feel comfortable dancing to it! There is no right or wrong when it comes to YOUR wedding dance. Pick a dance style that represents you and your spouse-to-be the best! At Dance With Me, we see a huge range of dance style preferences for first dances. We can make it elegant and romantic, or fun and upbeat. You decide! Some couples want a hip hop choreography or a steamy bachata, others will request the more classical rumba! It all depends on what kind of personality you want your dance to have! A song with a faster tempo will work better with hustle or cha-cha whereas a slower song will likely match a rumba or waltz. If your song is both slow and fast, you might want to consider a fusion dance. Anything is possible with a little practice! The song and dance pick go hand in hand! 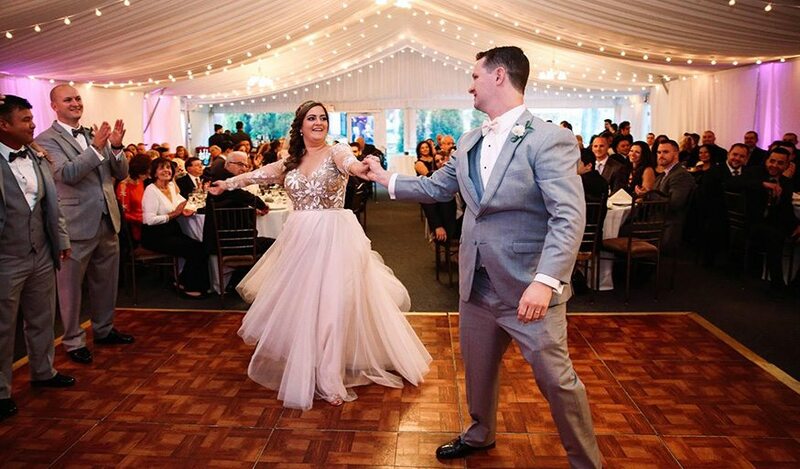 But before you make up your mind, consider the more technical aspects of your big day such as the size of your venue (dance floor), the type of dress/tux you’ll be wearing, and how high your heels will be. These details may seem trivial, but wait till you attempt a Dirty Dancing lift and hit your head on the low ceilings, or try to dance a hip hop routine in a crinoline and 8-inch heels! Also, will there be live music or a DJ? Live music can be great, but a band may play the tempo either too fast or too slow, so make sure you hear them play before you dance. A DJ can be solid, but make sure he knows all your cues. Keep these tips in mind when navigating through the thousands of potential song and remember to HAVE FUN WITH IT! You’ll (hopefully) only do this once! For more wedding inspiration, check out our Pinterest by clicking here! Comment what your song pick is below!